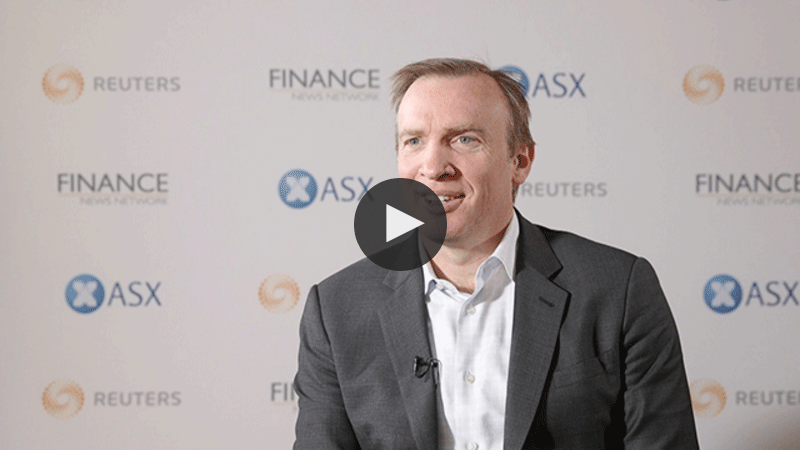 Watch the video – CEO, David Tudehope discusses Macquarie Telecom Group net promoter score (NPS), the competition and results for 2016 at the ASX CEO Sessions in Sydney on 31 October 2016. CEO, David Tudehope discusses Macquarie Telecom Group net promoter score (NPS), results and insights about competing in the telco sector over FY2016. Macquarie Telecom started in 1992. We service business customers in our telecom group, mean to large sized business with hundreds or low thousands of employees. We have a Cloud Service business that is where the Cloud lives. That big mega trend towards having more and more things in the Cloud, has to live in a data centre somewhere. And finally our Government business unit focus on cyber security, protecting the Government against viruses and hackers. And through all our three business units, we have a fanatical focus on the customer experience. FY16 results were characterised by an improvement in profitability. We increased EBITDA profitability by 23 per cent to $32 million. And that underlines by the fact that all three of our business units, increased both their top line revenue, as well as underlying profitability. We’re seeing good traction in terms of customers joining us, staying with us, due to the great customer experience and buying more from us. Macquarie differentiates itself by this fanatical focus on customer care. Part of the magic of that is measured at every point. So we have identified the key customer touch points. We measure those and we make sure we have a very fast feedback loop, both to the customer, in terms of understanding what we could have done better. And then internally, with our staff. It sounds simple, but it’s not well done, not always in our industry and not in other industries as well. And the breakthrough for us that’s really transformed our organisation is the way you can measure that for the first time, through net promoter score, or NPS. And that runs across all our three business units and has really enabled us to separate ourselves, from our competitors. The NBN rollout’s been very important to our sector. At Macquarie we’ve been supporters since the beginning of its origination. And there’s been a big debate of course, about what technology mix there should be. How fast it should be rolled out, how much money the Government should invest? But our secret recognises the foundation of the future, I mean this is the Information Age after all. What it means for Macquarie is that for our telecom business, we’re on a level playing field as NBN rolls out with Telstra, our main competitor. We now buy from NBN at the same price for the same technology speeds, which means we can differentiate in things other than infrastructure. For our Cloud services in Government business it’s critical as well, because one of the inhibitors historically to moving your computers from your own office, to a third party data central Cloud platform, has been what’s the speed going to be like? What’s the user experience going to be like in the office, if the computers are sitting in a third party location? NBN means that those speeds are going to be as fast as they are in the office. And the cost of delivering that is also going to be much cheaper. Looking to the future for FY17, there’re a number of very powerful mega trends that support our business. First of all, the move towards Cloud computing we’re seeing flowing through, in terms of new orders. We’ve announced some very large customer wins in recent times, which has brought about the need to invest further Capex and we’ve given some guidance around that. We’ve got some $32 million to $37 million type Capex range and half of that is business as usual Capex, to supporting new customers for their extra service and Cloud computing. And half of that relates to building out new capacity, we call it growth Capex. This is very powerful and this reflects the fact that we’re seeing strong underlying growth in the market. Our telecom business, we’re saying that we see profitability growing overall. But in our telecom business specifically, we’re saying we still see some of these new opportunities, around data networking technology that we’re going to be investing in. And finally in cyber security, the broad trend towards Government doing more things in the Cloud, more things online through their DTO revolution, we think also is an important trend that will feed into growth and profitability, in the year ahead. Cloud. Cyber security. Telecom. We’ve got it covered for business and government. And we back it with the best customer experience in Australia. We’re independent. Australian. We’re big enough to get the job done. But we’re also small enough to know that actions speak louder than words when it comes to service. It’s our obsession with customer experience that makes us so different. Today, our Net Promoter Score* (NPS) is the highest of any company in Australia. We are one Macquarie Telecom Group. *An industry-leading +59 score, as rated by our customers.